Today I am sharing this card using Natan, a Zury Artsy Craftsy digital design. A bit hard to photograph the foil I added using blue foil and a laminator. I really wanted gold foil but the two craft stores I visited were out of the gold foil so blue it is. It looks really pretty in person. 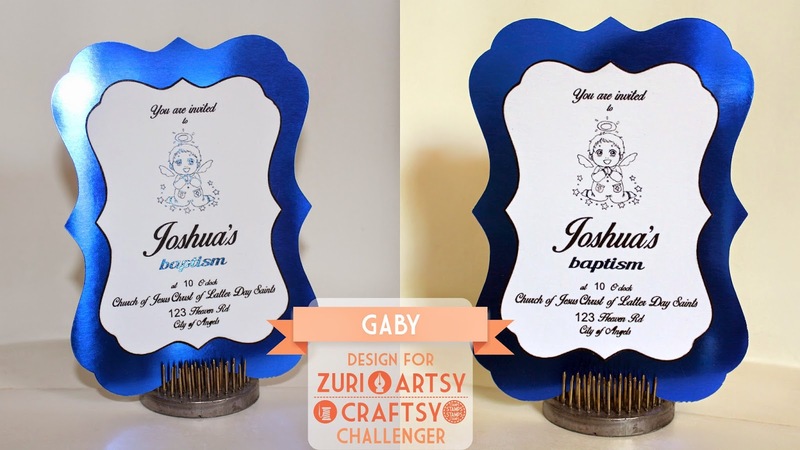 Hope you can join us in this week's baptism challenge over at Zuri Artsy Craftsy's blog.